Dating in the prime of life can be a tricky subject for many seniors. Maybe you’re putting yourself out there for the first time after the passing of a spouse or partner. Maybe you’ve concentrated on your life and career and made little time for your personal life and now that you’re retired, you’re ready to settle down and focus on your personal life. Or maybe you’ve simply found yourself single and searching after a long-term relationship. No matter what your individual reasons are, the reality is, re-entering the dating world can be a bit challenging. But don’t worry. You’re not alone. Seniors from all over are looking to find love, companionship and compatibility. That might mean looking for a new spouse, dating multiple people for the sake of enjoyment, or even simply finding companionship with a special friend. There’s just one thing to remember; dating at this stage in life will look and feel very different from dating in your teens and twenties. That’s ok. Embrace this time of your life and chase after happiness in the way that best suits you. 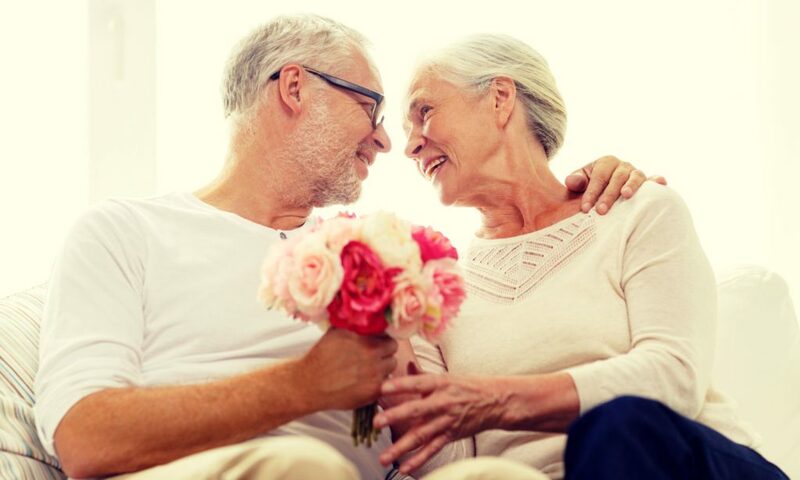 To help you on your dating journey, here are 10 Dating Tips for Seniors that can help you feel more confident along the way. Age doesn’t matter. You don’t need to limit your dating options. When you’re in your twenties, a few years can have a significant impact on compatibility. But, once you’ve hit retirement age, and had a lifetime of experiences and relationships, don’t be afraid to explore dating outside of your age bracket. You might be surprised at who could come into your life. Define what you’re looking for up front. Be fair to yourself and to your date by clearly defining what you’re looking for in the dating process. Are you just hoping to find companionship through dating? Are you hoping to remarry? Are you just dating to have some fun? Be clear from the start about what you’re looking for so that you both can be on the same page with the same expectations. Spend time to showcase your personality. Don’t worry so much about your looks. When you’re young, you probably focused on your appearance while getting ready for that first date. The right clothes and the right look could make or break that date. But, in this stage of life, your outward appearance takes a back seat to all of the things that make you quite a catch. Pick out an outfit that shows off your personality. Wear something that makes you feel confident and comfortable, and then spend your time looking for a meaningful connection with your date. Your past experiences can give you the freedom to explore new types of relationships. This is an opportunity to date people different than your past partners. Think about your normal “type” of date in years past. Now is the time to discover the excitement of dating someone outside of your comfort zone. Trust your first impressions! Your life experiences have probably helped you to become a good judge of character. If your first date does not go well, and things just seem off, don’t feel like you need to force a compatibility match. If you feel a connection, go with it. Trust your instincts and don’t expect to find your lifelong soulmate on the first date. If the sparks fly right from the start, consider yourself lucky. Don’t compromise on qualities like trust and respect simply because you want to find companionship. There are all kinds of people out there. Don’t settle for someone who is rude, dishonest or disrespectful. You deserve to be treated with decency, honesty, and respect. No matter how your relationship progresses, if it’s not founded on trust and respect, it will not last. Don’t be afraid of the Internet. There are many reputable online dating sites for seniors that can match you up with someone based on your compatibility scores and preferences. If you’re not sure where and how to meet someone, these sites are a fantastic option to begin your dating journey. Be cautious about giving out personal or financial information to someone you just met. Be cautious. If your date starts asking you personal and financial questions on your first meet-up, consider that a warning sign to be aware of. There are many individuals who are looking to take advantage of unsuspecting seniors to gain access to their financial assets. Avoid talking about these subjects unless you are confident that your well-established relationship is founded on trust, loyalty, and honesty. Remember that your children do not get to determine your social life. Don’t let your children dictate who you date and when you date. Many grown children feel a sense of obligation to protect and care for their aging parents. They may be well-intentioned, but not trust you to make your own decisions. The truth is, you are a grown adult and capable of making your own choices. If you have a good relationship with your children, you may turn to them for dating advice, but don’t rely on them to make your decisions for you, and don’t allow them to dictate who you spend time with. First dates can make you feel like a teenager again. Don’t be surprised if you feel your heart flutter and new sense of energy and life when you start dating again. You may not be young, but you can always feel young at heart. At Canadian Safe Step Tubs, we take pride in helping seniors improve their quality of life and feel a sense of confidence and independence in their later years of life. We know that if they feel independent and confident, they’ll be able to live and love to their fullest. Contact us today to discover how a walk-in tub from Canadian Safe Step Tubs can help give you the confidence you need for your next date.